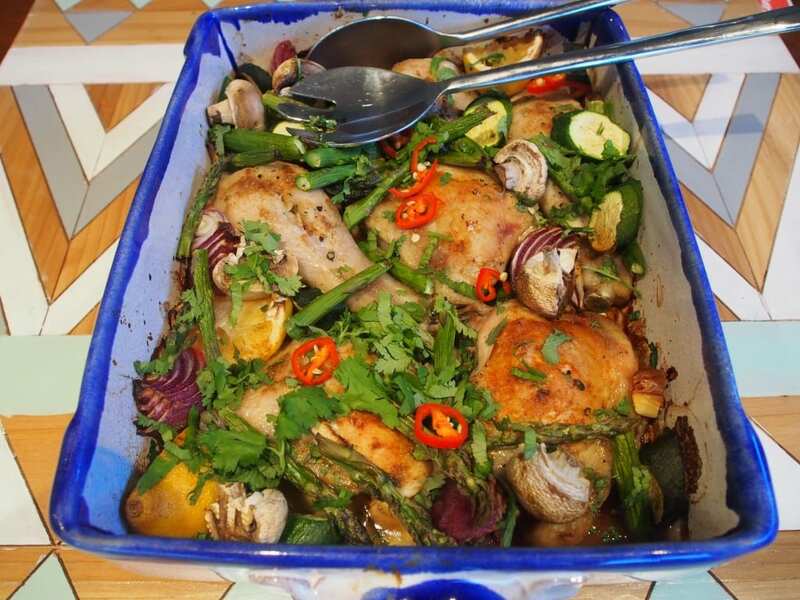 The Baked Lemon Cumin Chicken recipe is another easy to prepare low carb meal that your whole family will enjoy. Serve with Cauliflower Rice or Cauliflower Mash. 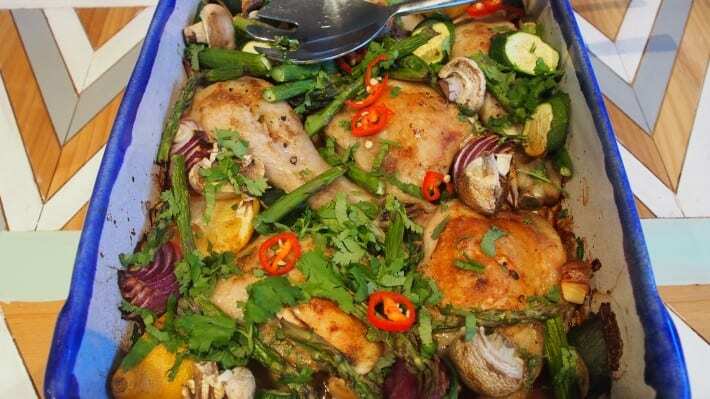 Place chicken and thickly sliced onion, garlic and ginger in a large baking dish. Cut lemons in half and squeeze juice over the chicken. Place remaining squeezed lemons in the dish. Pour olive oil over the chicken pieces and toss together. Sprinkle salt, pepper, cumin and any other dried herbs you would like to include, over the chicken pieces. Bake at 180 degrees C for 25 minutes. Remove from oven and add thickly sliced zucchini, asparagus and mushrooms. Bake for a further 20 minutes. Chicken should be brown and crispy. Check that chicken is cooked by inserting a clean knife, juices should run clear. If there is any sign of blood or the juices are pink or red, return to the oven until cooked. Once cooked, toss fresh coriander, and chilli through the dish. Serve with Cauliflower Rice or Cauliflower Mash for a nourishing and tasty family dinner.